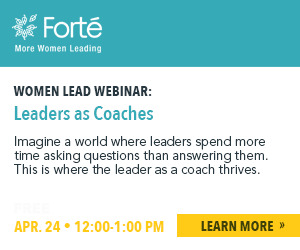 At one point in Forté’s Women Lead Webinar in March, executive coach and consultant Michelle Friedman splits her screen between two images. 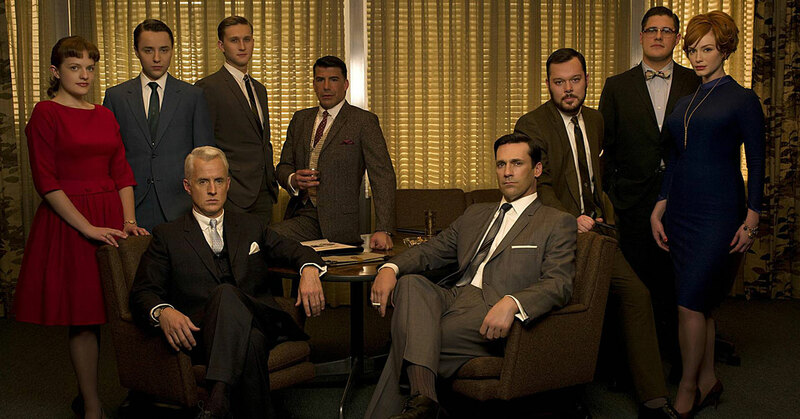 One is a picture from Mad Men, a popular TV series set in a 1960s ad agency. In the screenshot, a group of men are lounging in a conference room hazy with smoke. She then contrasts this image with one that is more emblematic of today’s workplace: men and women gathered together around a conference table, intermingling and smiling. Even today, as in the 1960s, when we think of leadership, we automatically think of men. This instant, unconscious bias against women leadership is nobody’s fault, Freidman states. It is residual, left over from Mad Men-era work rooms and mindsets. Her explanation of unconscious bias and her various tips to defend against it, are designed to help women strategically fight against subtle sexism while advancing their careers. Friedman begins her explanation of bias with a startling fact: Ninety percent of the decisions we make are outside of our conscious awareness. Sections of our brains can automatically process the endless streams of information we encounter each day. “Where we get into trouble is where there are decisions that need to be made that are more nuanced, more thoughtful,” she says. Sometimes our automatic thinking makes rash decisions based on limited experiences. An example? Stereotypes. “Stereotypes are mental shortcuts,” she says. “They … help us fill in the blanks when we don’t know a lot about somebody.” Uninformed assumptions, like stereotypes, can creep into our behavior and, purposefully or not, create biases in our actions, thoughts, and language. Friedman cites a study done at Rice University as evidence. Researchers found that certain types of language in letters of recommendation were connected to a decreased likelihood of hiring. The language used to describe women applicants – terms like affectionate, helpful, and kind – lead to fewer call backs and a lower rate of employment. The language used for men – terms like confident, aggressive, dominant – proved more successful. “Something as innocuous and well-intended as a letter of recommendation can show automatic associations and gender bias,” Friedman says. These biases start to create discrepancies between expectations of women and men. In the workplace especially, it creates for women what Friedman calls the “tightrope.” As the letter of recommendation study shows, people tend to expect women to be nurturing, kind, and affable. This can be difficult to achieve while ambitious women are also trying to emulate workplace leaders, who are more likely to be men. “We, as women, are put in this position where we are asked to find… a way to be likable and leader-ly at the same time,” Friedman says. These biased assumptions present themselves in different arenas during a woman’s career, Friedman says. It’s on display especially during meetings, where women’s contributions are routinely interrupted by men, which she calls, “manterrupting,” a word she borrowed from Jessica Bennet, the gender editor of the New York Times. There are also many instances of “bropropriating,” where men co-opt ideas that were initially presented by women. Another tip is to “lean in, literally.” Elbows on the table show that you deserve your seat at the meeting. She also suggests recruiting wingmen or women to serve as backup. “These allies are really effective at interrupting the interrupter,” she says. To learn about the rest of Friedman’s tips, including one she calls “the ultimate hack,” listen to a recording of the on-demand recording of webinar, Is it Just Me? Recognizing and Overcoming Unconscious Bias at Work. A full library of previous Forté webinars are available to Premium Access Pass members. For $50/year, Access Pass members receive exclusive invitations to Women Lead webinars. If your company is a Forté sponsor you may be entitled to free Access Pass. Check our sponsors to see if your organization is involved. Access Pass members also have exclusive use of the Forté Job Center; you can browse positions and post your resumé to be seen by leading companies seeking top talent.